Bulls Head Public House in Lititz, Pennsylvania. So many beer bars, so little time and money. Sadly, that's the truth for many beer enthusiasts who want to experience the best America has to offer in terms of craft beer variety. They won't often be disappointed when they drink, but they may not know what they're missing. Every year, the Colorado-based Brewers Association holds its Great American Beer Bars competition online at CraftBeer.com. Readers of the site are asked to nominate the best beer bar in their state and fill out a survey explaining what they feel separates it from the rest. With fixtures like Dock Street Brewing Co., Monk's Cafe and Strangelove's seated in Philadelphia, you might think the population effect might help win a local bar the title. But the 7,000 people who participated in this nationwide survey in November and December are a particular breed of beer drinker. Their selections should be taken as an invitation to hit the road and check out spots that aren't necessarily right around the corner. 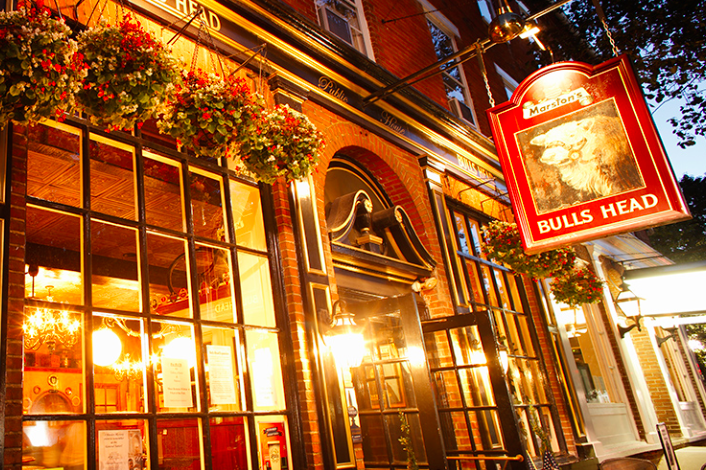 In Pennsylvania, this year's readers' choice is Bulls Head Public House in Lititz, Lancaster County. Opened in 2010, Bulls Head Public House is located inside The Sutter, a renovated hotel that dates back to the 18th century and the establishment of Lititz as sanctuary for Protestants who formed the Moravian Church. "We are both proud and grateful for this honor, " Bulls Head owner Paul Pendyck said. "This award was voted on by our customers and fans, which makes it even more special." In New Jersey, Caldwell's Cloverleaf Tavern, which dates back to 1933, was voted the best beer bar in the state. Selections were made based on a combination of atmosphere, beer selection, staff and special events. Results for the rest of the country can be found here.